Welcome home to this 3 bedroom, 1.5 bathroom home! This Ranch home has a maintenance free exterior. Step inside & find a spacious living room overlooking the dining room. Large windows fill the living room with natural light. The big eat-in kitchen opens to the family room. The family room has a natural fireplace & sliding glass doors that lead out to a cement patio. Three nice sized bedrooms may offer hardwood floors under the carpet. The lower level is waiting for your personal touch. Brand new drain tile completed with transferable warranty. Potential for an egress window. Brand new hot water heater also...just bring your decorating ideas! Home warranty included. 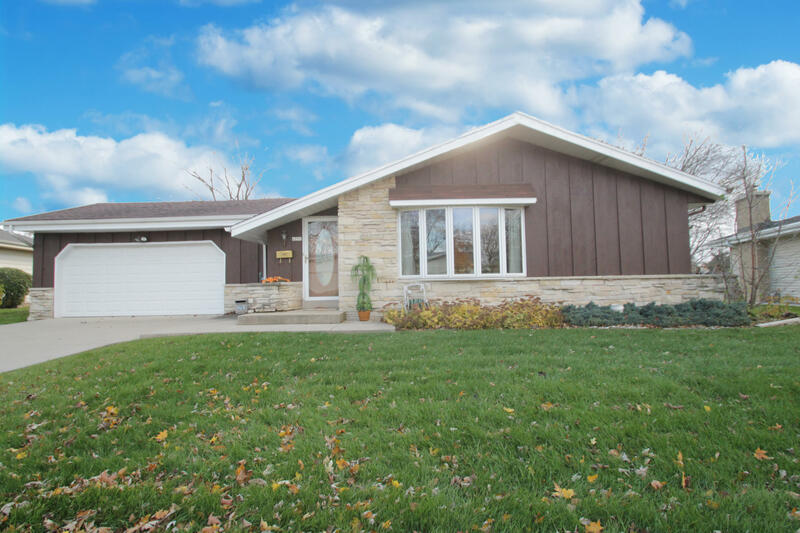 This home is located in a wonderful neighborhood with a great school system.